Female Hair Loss and Chemotherapy: How Can You Prevent It? Why do cancer patients sometimes suffer from hair loss when undergoing chemotherapy? Well, as you all know, chemotherapy is widely recognized as the most common and most effective treatment for cancer. However, the powerful medications used in fighting cancer cells cannot distinguish the difference between the target cells and normal healthy cells. 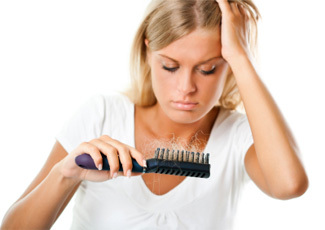 As a result, it may even attack and destroy hair follicles all over your body – not just the ones in your scalp. Fortunately, hair loss due to chemotherapy treatment is usually temporary. You can expect your hair to grow back within three to 10 months after the treatment has ceased. When hair starts to grow back, it may be of a different texture and color as compared to the ones that you lost but all will soon get back to normal. Despite this reassuring fact, however, a lot of people – particularly the women, cannot help but consider this side effect as one of the most distressing part of having the treatment. Scalp hypothermia. You can try to minimize the effect of the drugs by putting ice packs over your head during treatments. This will help stop the blood flow to your head and prevent the medication from exerting its full power in this area. While this may reduce the probability that you will experience hair loss, this approach can cause headaches and slightly increases the odds that the cancer will recur in your scalp. Minoxidil (Rogaine). While using Minoxidil cannot guarantee that you wouldn’t lose your hair during the treatment, it can definitely help your hair grow back a lot sooner. It may be quite difficult to prevent hair loss while you are undergoing chemotherapy but you can always concentrate on keeping yourself healthy so you can fight the cancer cells more effectively. If you aren’t growing your hair basic as fast as you feel you should be, or if you have questions regarding hair loss in general, consider scheduling an appointment with Dr. Mark DiStefano’s team of experts. They will do whatever it takes to help you manage your hair loss problems.